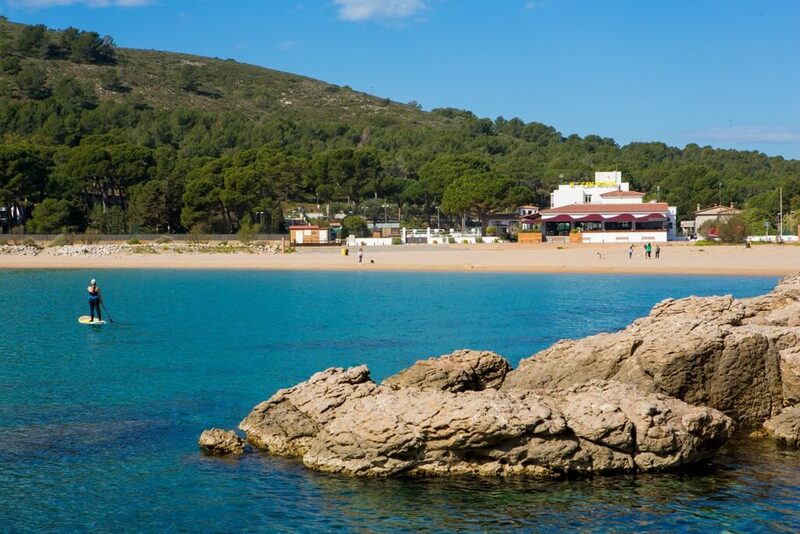 L’Escala is an ideal destination for hiking lovers. If you would like to discover the Camí de les Termes, grab your backpack and some comfortable shoes and come along with us! The trail begins at Cala Montgó. Starting from the beach itself and heading inland, follow the Carrer dels Termes while skirting along the perimeter of the campsites. Once you have passed the Cala Montgó campsite, cross Carrer Punta Milà and continue along the same path, following the green and white signs. At this point, cross the former borrow pit and continue along the Camí dels Termes towards the West for approximately three and a half kilometers. You will eventually reach Mas Cortal Nou, the destination point of this trail. To go back, simply retrace your steps along the same path. This trail covers a distance of three and a half kilometers, it is not difficult and it can be covered in about one hour and forty-five minutes, depending on how the pace at which you follow it. It is also worth pointing out that much of the trail is limited by dry stone walls that outline the path and are a display of popular traditional architecture. The flora is also worthy of note due to the presence of orchids and rustyback, as well as rosemary and rockrose during the Spring. Les Planasses: Les Planasses is a spectacular natural space that belongs to the Montgrí, les Illes Medes and Baix Ter Natural Park. A number of different environments converge at this point: dunes, pine groves, and cliffs, combining interesting species of flora and a landscape that leaves no one indifferent. The Coastal Promenade Through l’Escala: The trail begins at the doorstep of Can Miquel, at Cala Montgó, from where you should head towards the center of L’Escala. And, once you’ve worked up a sweat, we will be waiting for you at Can Miquel to help you recover and take in the sights of Cala Montgó. Have a nice trip!